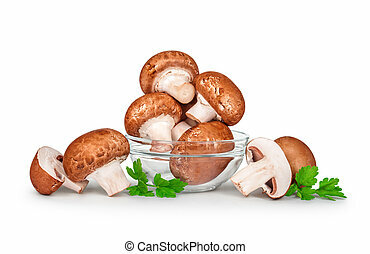 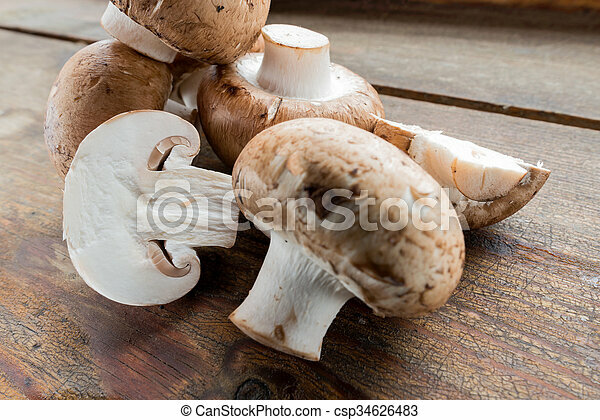 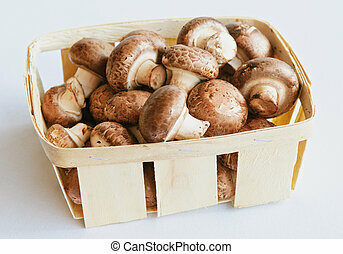 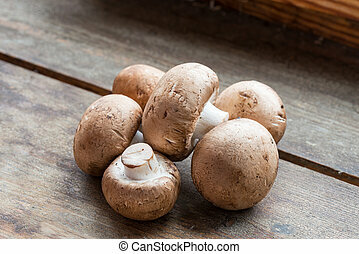 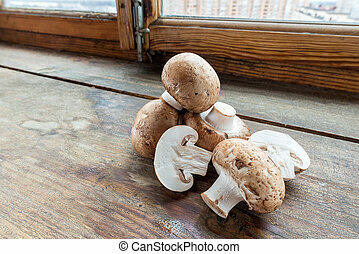 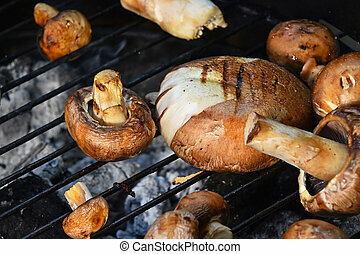 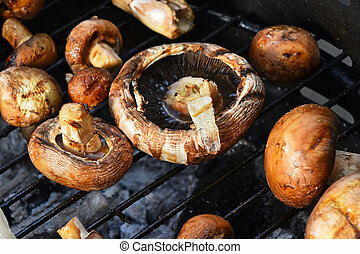 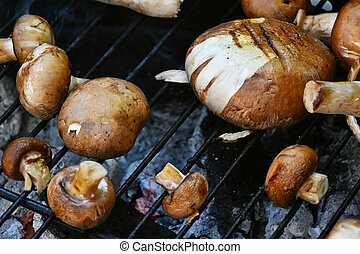 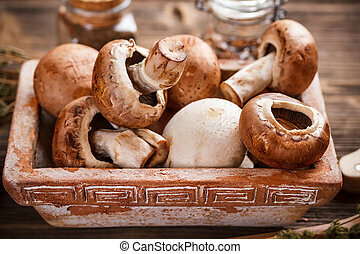 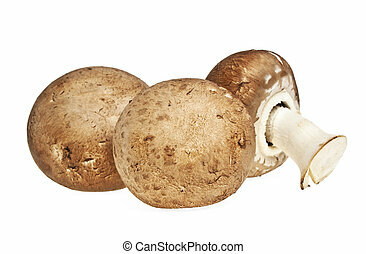 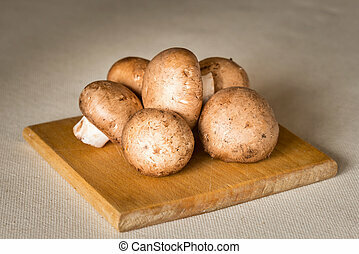 Brown champignons mushrooms. 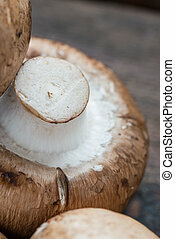 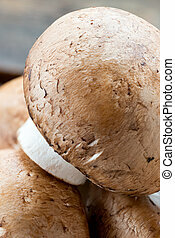 Closeup of fresh brown champignons mushrooms, agaricus bisporus, on wood. 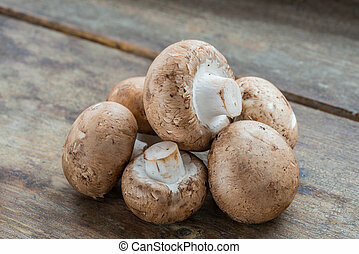 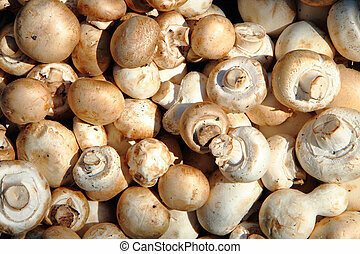 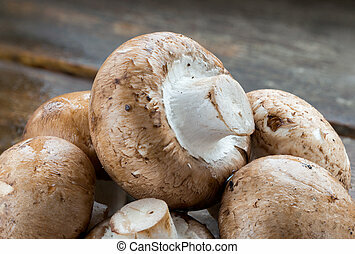 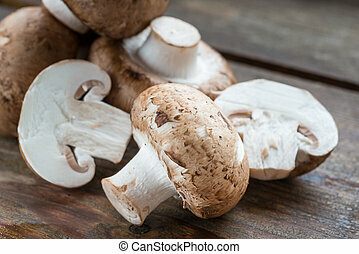 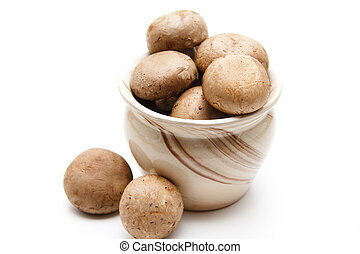 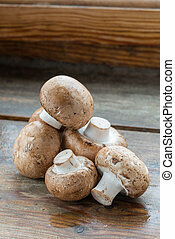 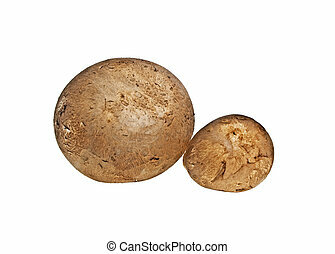 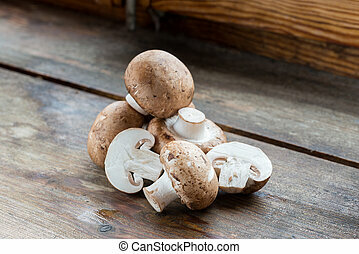 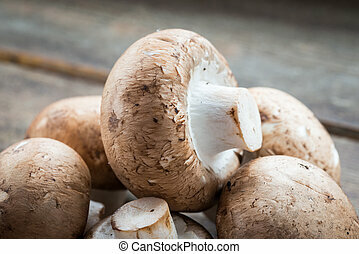 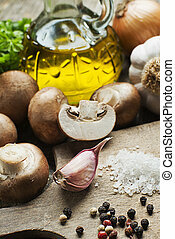 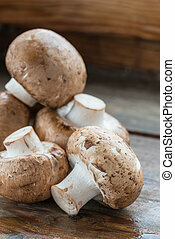 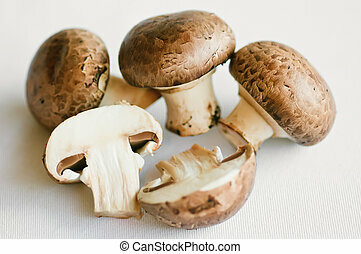 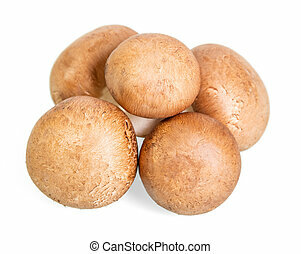 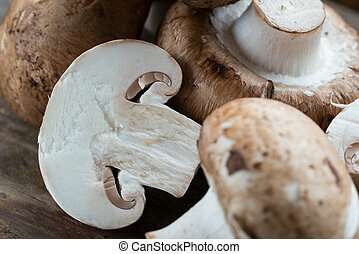 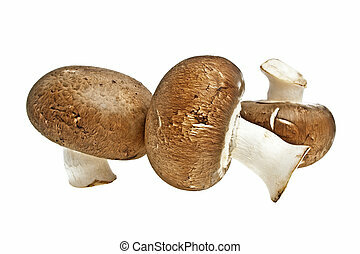 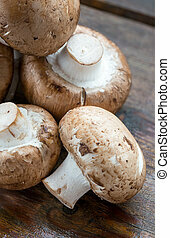 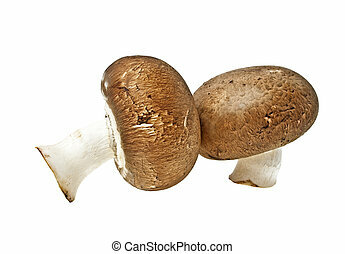 Brown champignons mushrooms close-up isolated on white background.